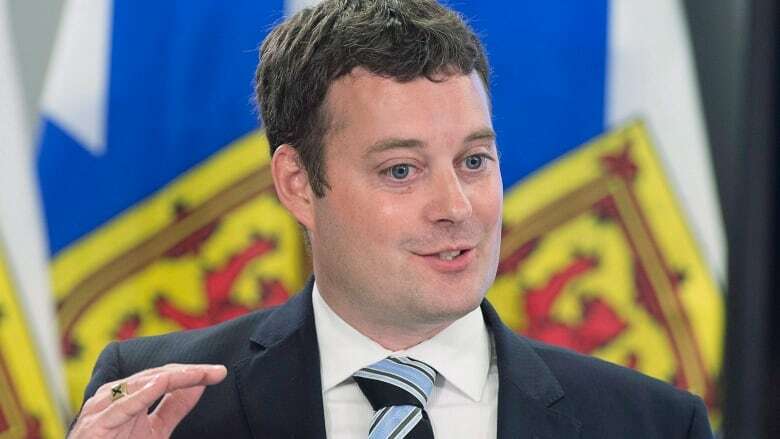 Provincial Finance Minister Randy Delorey announced Tuesday that a tax rate of three per cent will now be extended to companies on earnings up to $500,000. Nova Scotia's finance minister has promised less red tape for all businesses and a lower tax rate for more small business owners in the 2017-18 budget he is scheduled to introduce on April 27. Randy Delorey told a business crowd at a Halifax Chamber of Commerce luncheon Tuesday he plans to change how some businesses are taxed. There are about 20,000 taxpaying businesses in the province. Roughly 11,000 of those are small businesses as defined by the federal government, with less than $15 million in taxable capital. Those that make $350,000 or less are taxed at the three per cent small business tax rate. It's those businesses that make slightly more that will benefit from the plan to increase the small business income threshold to $500,000, because they too will pay just three per cent. Anything above $500,000 will be taxed at the general business tax rate of 16 per cent. Delorey refused to tell reporters after his speech how much tax revenue the province would forgo because of the change, nor would he be specific about how many businesses might benefit. "It'll be over a thousand businesses," he said. Delorey also promised to cut red tape and offered a dollar figure on how much it might save businesses: $25 million in 2017-2018. He explained how the government might calculate that guarantee of $25 million in savings by suggesting that simplifying forms or procedures might save time. "As one example, an employee who spends an hour doing a particular form that needs to be submitted monthly," he said. "If there's a way to reduce that hour to a half-hour, you're saving a half-hour of that person's salary on that. Multiply that out by all the businesses that would have to perform that task on a regular basis." It's unclear how the government would actually determine when it had met its obligation to save businesses $25 million in red tape. Delorey also told his business audience he plans to deliver another balanced budget. Last year's budget had a thin surplus of $17.1 million. It was down to $12 million in December's fiscal update, but despite a recent flurry of pre-election spending, Delorey maintained it will be balanced by the end of the fiscal year. Opposition finance critic Tim Houston was happy to hear the books would be balanced this year and next and he was satisfied with the small business tax cut. "It's actually something that was in our [2013 election] platform," the Progressive Conservative MLA said. "We called for this. It's a good thing for small business." NDP Leader Gary Burrill was less enthusiastic. "We are about to be presented with a budget that is going to fail to make the key investments that the province needs," he said. He pointed to the need for more money in classrooms, more long-term care beds and tuition relief for university and college students. It's an election year, but when are Nova Scotians most likely to vote?